Breaking The Silence….Why I left. Throwing it all out there. I’m only writing this because I feel that it could help another person who is in the situation I once was. 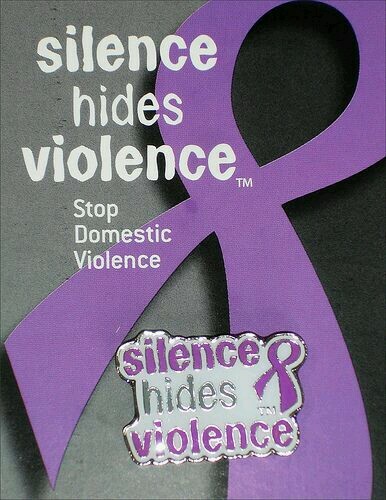 Sometimes it takes hearing others stories in order to realize what you are going through is domestic violence. Im here to tell you, there is hope and there is a way out. I know there are so many women going through this exact same situation. You want to leave but you feel trapped, you have kids, you have no resources and the abuser controls everything. Im going to tell you the signs of that you or someone you love is going through domestic violence and how to plan a way out if you are. I know someone who is going through ths righht now so it really encouraged me to help with awareness. The saddest and sickest thing about domestic violence is the manipulation. The abuser not only manipulates the person hes abusing but,they also manipulate everyone else in their lives as part of the game. You may find that your closet friends and family have turned there backs on you. This is when you know the abuser has sabotaged your relationships. He might tell them lies about you, anyhing he could possibly say to devalue you and discredit you in any way. He might tell them you are cheating on him, lie to him, a horrible mom, abuse him…anything that would cause them to look at you in a bad way. This gives him total control. This is a huge red flag and sign the abuse is at its worst and time to find other resources of help because at this point no one will believe what you are going through.The abuser will use anything they can to manipulate you and people in your lives. They want to always play the role of the hero and portray you as crazy, helpless, stupid, whatever in order to maintain control over the situation and leave you feeling helpless and powerless. Once you wake up and realize what is really happening you realize its time to plan a way out. When I decided to leave I had $100 to my name and a 1 year old and three year old, he took my car and all of our belongings and I can still say it was the best decision I ever made. Once you find your own voice the abuse gets worse. In my case there were many nights of being yelled at until 4am or until I apologized for something…. could be anything just so I could go to bed. There were threats, shoves, being held against my will, being nearly choked, my son being put in harms way by my ex jumping with him behind my car, being nearly ran over by my car, Being forced to not contact friends and family and major isolation. I was, at one point stuck with a toddler, pregnant, with no car, living miles away from civilization. The list goes on,there is too much to write it all. It just went from bad to very bad to, I have to leave. What a lot of people dont understand about abuse is it doesnt always result in someone appearing beat up. Abuse can be emotional, verbal or physical but in many times all of the above. Signs you or someone you love is being abused… Isolation,cancelling appointments, losing contact Appears worried, frazzled Nervousness Obviously, black and blue marks, or scratches, marks Lack of resources, car, money, etc. everyday needs Hearing weird stories that dont add up or make sense from either the aabuer or person being abused Do you hear stories about a loved one that seem strange or out of character? Depression Anxiety Not answering phone Not involved in everyday activities like work, school, church, social activities, etc. Tells you they are having marriage or relationship ploblems, this is a sign they are trying to reach out…listen Suicidal Anger outbrusts Very emotional or senstive These are just some of the sign to look for If you are in this situation, contact someone you trust. At one point I couldnt even trust my own mom because he even was able to turn her against me. You may have to contact a womens shelter to get a non biased opinion and they can help you plan a way out. I ended up having to stay at one for about a 5 weeks but they offer so many resources, I was able to connect with an old friend, talk with women going through the same thing and have counseling everyday. Its really time to focus on yourself and your kids and find peace and happiness in your life again. You may have to accept that you may lose friends, family, belongings, but none of that matters if you dont have peace or happiness,or even safety. The people who really care and are worthy of being in your life, will come around. Sometimes people dont know what to say or do in this situation. Its not like someone died and they can say, Im sorry for your loss, give you a hug and thats that, its so much more complex. But it is like someone died. You go through a period of loss and morning. In my case I was with this person for 18 years. I still have love for him and his family so that makes it so much harder. I have days where I still think maybe counseling would have worked. But in the end I know I did the right thing. My kids and I are happier, I feel like I am in a better place emotionally and financially on the right track. To anyone in this situation I wish you peace and happiness and the inner strength you need to know you can do this!!!!!!! Previous postLove to eat out??? ?